A whole is the complete synthesis of its individual parts. A tree is composed of fully matured root, stem, branches, leaves and, in some cases, fruits. No component exists in isolation – without the other. It is the addition of these components that makes up a body structure. A weakness, fault or error in any component leads to the imbalance of the whole body. A school is composed of three indispensable parts – teachers, students, and the learning environment. These components will be examined one after the other in this article. “School” is a word that has been defined by various scholars from different perspectives. For us, we are examining the concept exclusively from the learning institutional point of view. 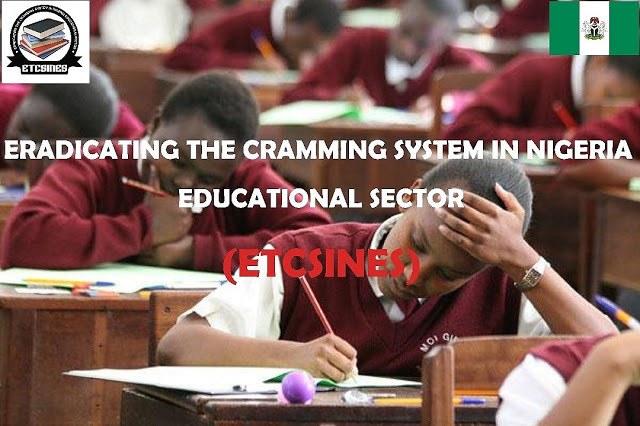 Nigeria’s educational institutions are made up of three levels – the primary, the secondary and the tertiary institutions; although, these levels vary according to different countries and educational systems around the world. The Teachers – These are set of people who have undergone the full academic training to impart knowledge on the students. I think we have to consider this critically. The art of teaching is a deliberate effort to passionately pass knowledge to the students. This demands competence, proficiency and the right attitude. The Students – These are the group of people who are the recipient of the knowledge passed across by the teachers. The goal of the school is to impart formal and informal knowledge in the society. The students constitute the major focus of the school. Therefor they should be thoroughly nurtured and groomed in knowledge. The school is an institution that has existed for many centuries ago with great track records of impact in all societies of the world. Learning Environments – These are facilities, surroundings, settlements, platforms and conditions that aid learning. Class rooms, library, laboratories, medical facilities, administrative offices, auditoriums, sporting facilities, among others are environments that facilitate learning. These three components are integral parts of an entity called a school. They are indispensable.